Last edited by sicivic01; 04-05-2006 at 09:29 PM. Bigger pictures would be nice...But all I can say is that your Inca (A.K.A. "Liquid Babyshit) rocks... I wish more people rocked the Inca. Your car looks great. Mine will too...someday. pictures were too small but i resized. I have an Inca too I like. Pics are a lil dark though. The black rims aren't a bad combo with this color. I think what I'm going to do with my car is paint the stock grille black, Get some black projectors, Maybe paint the wing black? Who knows. 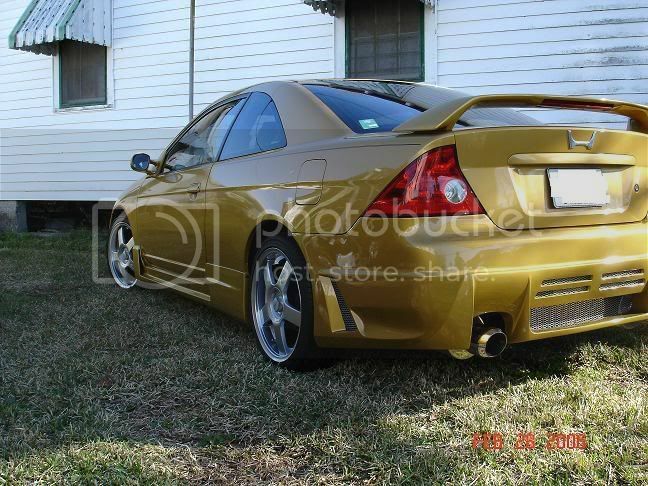 Don't know if it'd look good but I might photochop my car to see...And I might be repainting my wheels white...If I get bored enough. 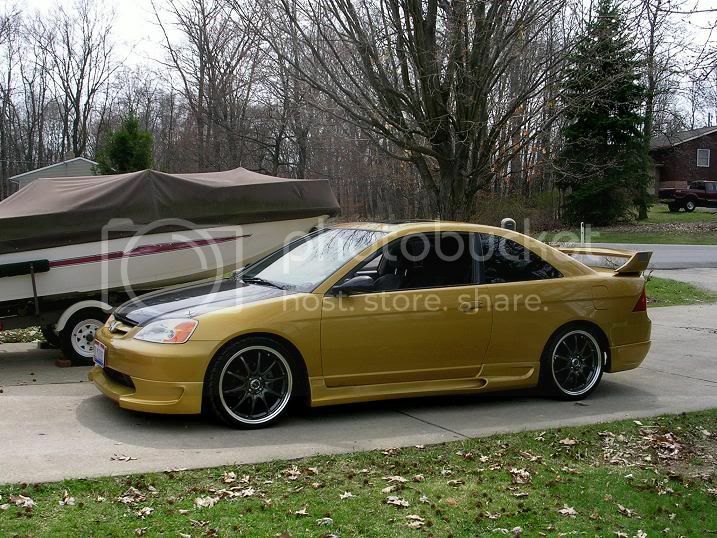 I have an Inca Pearl coupe too...I was thinking about powder coating my rims black. Looks good. Nice to see some nice Inca's. Keep up the good work bro! Most people dont like it at frist but then it grows on them. Yup, check my gallery too. BTW, Welcome and nice car! i never noticed how many people have inca pearls on this site. i would like to see more pictures of incas if people wanna post. I would post pics but don't have any good pics, just some off of my phone...and its stock, just got it like 2 weeks ago, so nothing special. your car looks awesome. what kind of rims and suspention set up to you have? Rota Slipstreams and Neuspeed Sports. Last edited by PitbullCivic; 04-07-2006 at 03:48 PM. 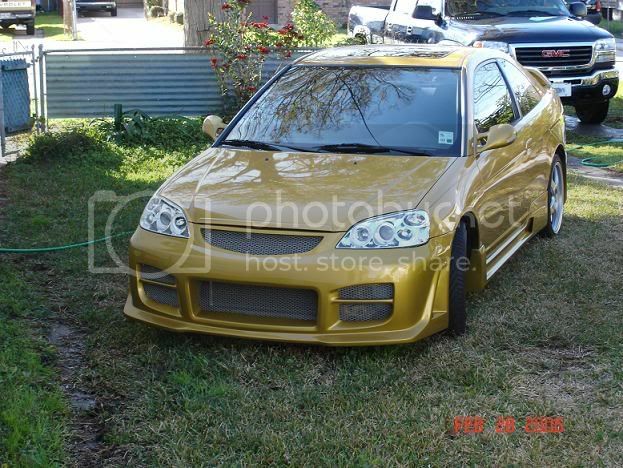 i have my stock rims painted flat black right now with the H painted red and i want to know what you guys think if i paint it white so it looks like the type r integra. got my fogs! pics finally added!